I purchased a comprehensive laser. Excellent and easy site to navigate. Excellent support because the company team returns emails within a short period. Excellent product that gives a sharp high quality beam. I did something obviously that I had to return my Laser. The company noted the Laser was still under warranty and notified me they would repair or replace. Great company. Excellent product. A truly satisfied customer. Thank you HTPOW Laser! The best 5 Star! I ordered this one knowing it was gonna be powerful. But didnt knew it was gonna be so powerful. What i mean is its better than i thought it would be. Good price and comes with protection glasses that you obviously need to use while using the laser unless you want to go blind. Overall im very satisfied and i dont regret buying it. 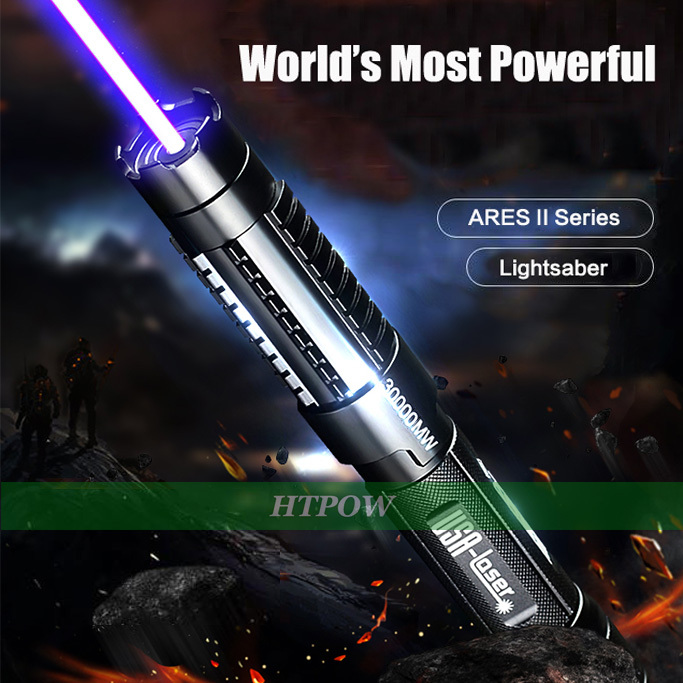 It is really a very powerful laser, and should not be called as a laser pointer, and not be used for pointing purposes because it is too strong, the linear laser beam will burn things in the close distance. The bright beam goes miles and miles in dark. This is an extremely powerful laser; it burns many things in less than a second. It takes a little longer to burn white paper because much of the light is reflected, but it can be used to "write" on it. At the finest focusing the light can trace black lines on the whitest paper. The casing of the laser ensures a firm grip and it is very easy to hold in your hand. It is also lightweight but somewhat large, so it doesn't fit in a pocket. Comes in a secure metal box that has a handle, so I can carry all its components around very easily. Overall very impressed and happy with my purchase! This thing is hilariously powerful, burns surfaces in less than two seconds. Only complaint Is i wish it came with more safety glasses and better quality ones..(this thing can be dangerous!) . I work with true high power lasers in industry, this little this is fun. Works great I can light a match from 12 feet away, works drastically different on light colors and dark colors, keep that in mind when first trying it out, darker colors burn quicker, but all in all I'm very happy with it! Was amazed by the 30000mW power. Price is fair. Excellent qaulity. Highly recommend. Good product and working. Powerful laser point can be seen even on sunny days out doors. The laser pointer arrived quickly and charger work perfectly. Thanks a lot with great gift LASER SWORD. I would have preferred that the brightest came first but it is last. The zoom feature works off of a circular ring which allows you to focus the light for a longer distance, which can be very helpful at night by not requiring you to come close to see an object. The batteries last for quite a while and take a few hours to charge. All in all it is a good flashlight and they make excellent gifts for the holidays. I am surprised it is working so good and the blue beam is very Sharp. but you must use Your read glasses all the time. Ok these are not to be messed around with. You will burn black tape at 6 ft . The 16340 cells that come with the unit are a joke. the unit is overpowered and build is good. One issue i had was the focus ring was not assembled well and I first had a very fat beam that looked more like a line. When you unscrew the front cap where the start caps go there a little brass fitting that was threaded on wrong i flushed it and all is good. After inspecting these units I see that the driver diode circuit board and the diode heat sink is way better built. I will report back in a month. The laser has output power of 3500mW, the description says 30000mW but at least burn, as expected, good quality everything. The blue version will melt trash bags. I'm afraid what it would do with a fully charged battery. Using it for astronomy, pointing out features, Works great. Be careful, this thing can blind you. Доставка в теч. месяца (Крым), доставили в адрес курьером - очень приятно - для бесплатной доставки. Товар качественный, упакован нормально. As I say above, very good laser to show your friends the stars. 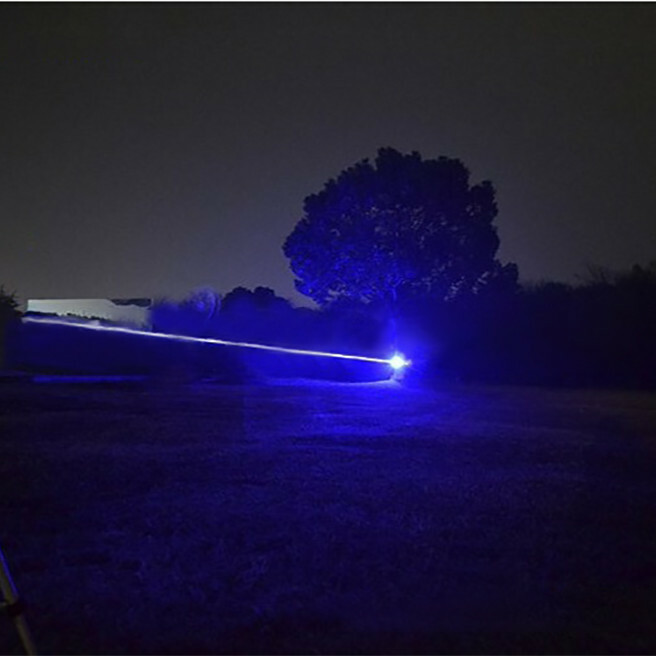 The blue laser was lightweight, that make kids and adults happy. 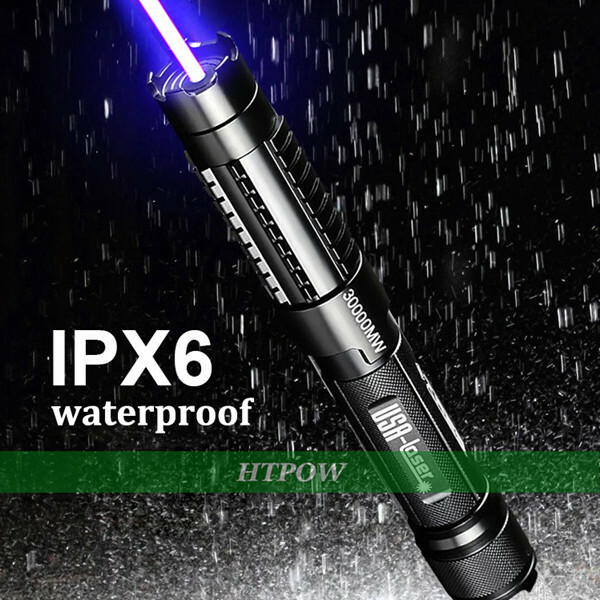 It's great for using for a flashlight for around the house or for a kid to take camping. Decent flashlight. Easily fits in pockets/bags/ glove compartments/etc. The laser function isn't as impressive as I hoped. Still a solid flashlight. I love this powerful laser. About the size of a sharpie, ridiculously bright for its size. Clip it comes with is very sturdy. I like it because it becomes more of a pressure switch. Easy to carry around, always handy. The laser pointer is tested a bit and am satisfied that it works flawlessly! Great quality and a powerful device! 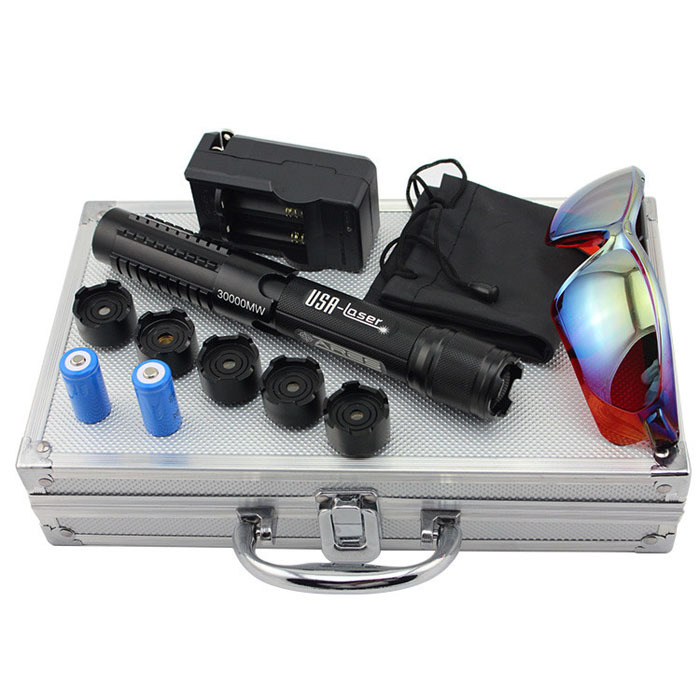 Only minor concern are the safety glasses that others should be aware about, for such a strong laser an optimum laser safety glasses should be used. Excellent tool! 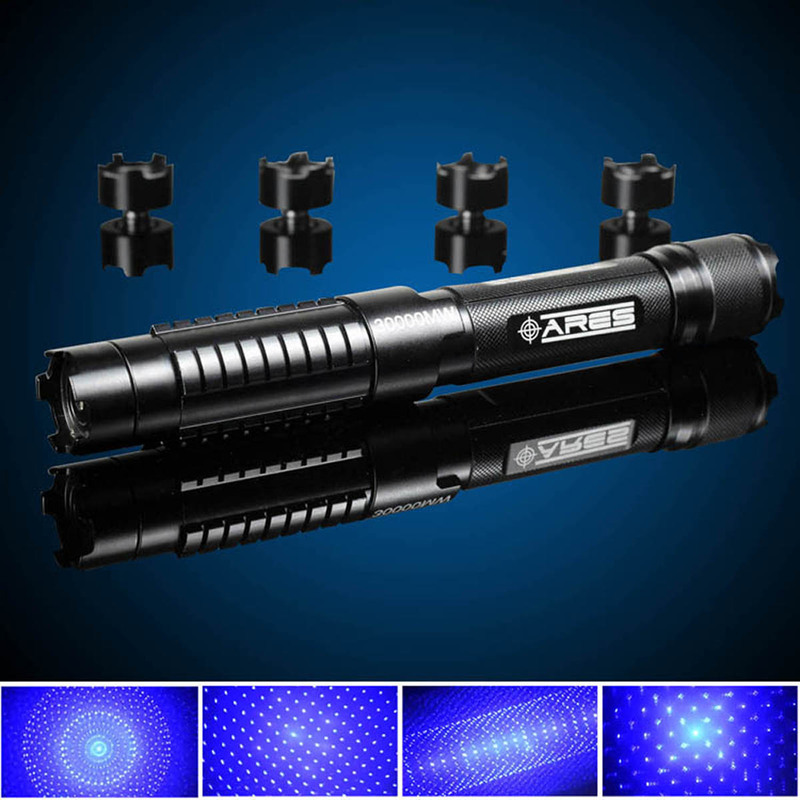 Blue laser light very powerful and visible, better than red laser. Convenient self-carry. The blue lights are not designed to be a perfect small dot. This color is usually used for burning or engraving. You'll definitely have to focus the beam, to every object, if the distance changes at all. You CAN sting the mess out of another person with this laser, so be careful. DO NOT look directly into the beam, because it might be the last thing you ever get to see. Fantastic price and a great product! Happy, happy, joy, joy you can do wood burning etchings with this so it's not a toy!